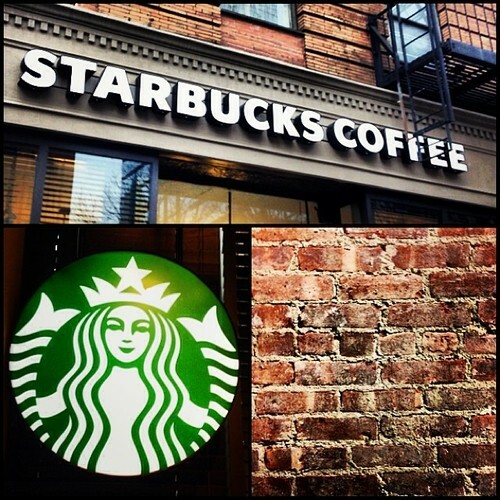 Did you know that Broadway has the most Starbucks located on it when compared to any other avenue in New York City? By my count there are 36 individual Starbucks locations off Broadway, and they just keep on coming. I think the only thing that rivals the amount of Starbucks on Broadway is the number of Bank of Americas. Every other street there seems to be one on the corner beckoning me to make an ATM withdrawal. I’m not really complaining since it is my bank of choice, but the concentration of them on this single avenue is kind of weird. I’m only used to seeing Starbucks on most street corners. Well, that or Subways. I’m currently sitting at the Starbucks on the southeast corner of 103rd and Broadway. 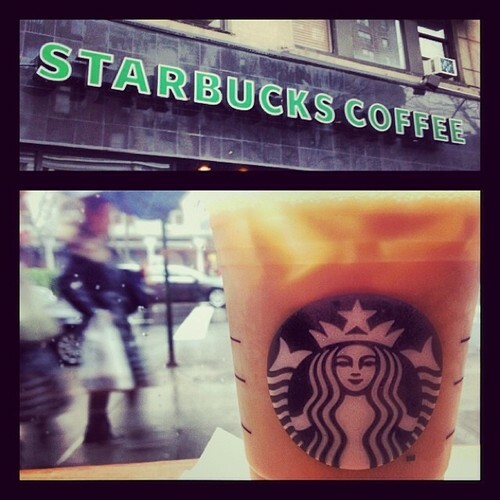 After reviewing the new Starbucks just a few blocks south on 99th street, I couldn’t help pay this one a visit as well. It’s not really that I’m pressed for time — not anymore at least — but I just couldn’t help compare these two locations a mere four blocks away. Although both are on Broadway and conveniently located near trains, this one definitely attracts a larger crowd. Perhaps it’s because this one actually has a public restroom for patrons to use. There’s also twice as much seating here and a little more room to spread out. But this Starbucks’ decor is also much more dated than its southern counterpart, and the lighting here is very dim, especially on a rainy day like today with limited natural lighting. I guess the moral of this story is that no matter what your likes and dislikes, Broadway has a Starbucks for you. Not at one that suits your interest, just walk a few blocks in either direction and you’re sure to find another. The Starbucks on the corner of 100th and Columbus belongs to the small NYC neighborhood of Manhattan Valley. Essentially, this is where the Upper West Side meets West Harlem. Broadway is to the west, a small shopping district is to the south, Central Park is one block east, and Harlem is just north. The neighborhood — which was once called the Bloomingdale District — got its name because this area is a geographical depression. From Columbus Ave, I can literally see the street slope down to the south and rise back up to the north. The Starbucks is at the northern edge of a small shopping area that contrasts greatly with the towering apartment buildings just north of 100th street. But then again, that’s gentrification for you. This location is not too big and not too small. It’s just the right size Starbucks with an adequate amount of seating on one side of the L-shaped interior. You can choose to sit at a low bar and gaze out the window and watch the southbound traffic. Or if you’re lucky enough, you can grab a seat at the long sofa with attached tables and power outlets. Most likely though, the fluctuating crowd will determine your seat, and you’ll take whatever is open.